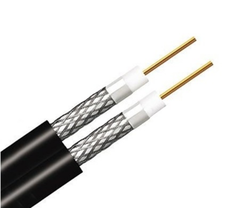 In our broad collection of various products, we are also offering a qualitative gamut of Coaxial TV Cable. 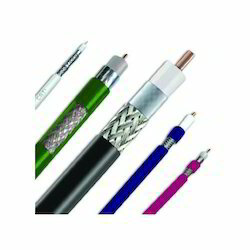 Our company holds vast experience in this domain and is involved in offering Underground Cable. • Range includes RG-59, RG-6 and RG-11. • Use of Al -Poly —Al Bonded tape and imported Foam mat injected Foaming. • High Foaming leads to lower attenuation. Our esteemed clients can avail from us an exclusive range of TV Coaxial Cables. We manufactured these with the specifications given by the clients. Our quality experts make sure that our range is free from any kind of defects and ideal for uses.